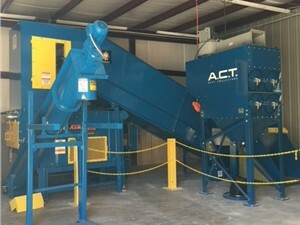 Our selection of high-performance commercial shredders makes Arlington Machinery the first choice for any business who wants to add one of these waste-reducing machines to their operation. If you just need a shredder to crosscut human resource records, go to the office supply store. 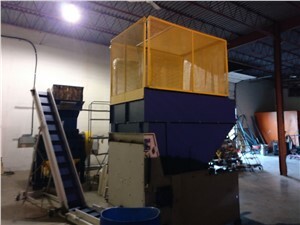 When you need an industrial shredder that reduces plastic, metal, tires, and wood into standardized particles, call us. Since 1987, Arlington Machinery has served the plastics industry specializing in the sale of used machinery. Our massive inventory of equipment allows us to help our customers improve their processes, increase efficiency, and reduce waste. We also offer in-house repair and refurbishing, so if something goes wrong with your plastics shredder down the line, we can fix it. Many industries utilize commercial shredders including plastics, packaging, automotive, and many others. 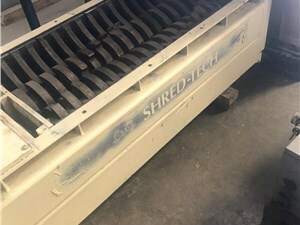 As with most equipment, there is no one-size fits all plastics shredder. Many makes, models, and options are available. 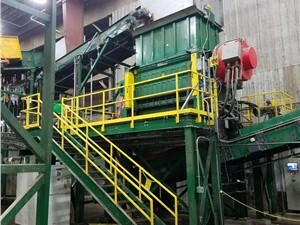 The team at Arlington Machinery will learn about your needs and then help you choose the industrial shredder that will perform best for your specific application. Single Shaft Shredder: A single shaft shredder has one shaft with blades and is hydraulic driven. The materials will be continually shredded until they are of a uniform size that is small enough to pass through the mesh screen. Examples of uses: Shred plastics, wood, solid moldings. 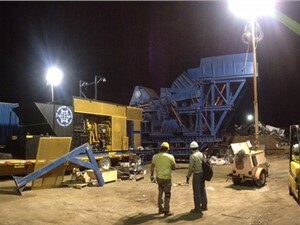 Dual Shaft Shredder: As the name implies, a dual shaft shredder has two sets of blades. The material is fed into the chamber and shreds are then output. Unlike the single shaft shredder, the material will not pass through a screen, so the size of the output material will not be uniform. Examples of uses: Shred tires, scrap electronics, hazardous waste, plastic barrels. Options available on some of our commercial shredders include ram assist, cutter hardfacing auto-reversing, screens, and more. Our sales staff can help you choose the shredder that will work best for you. Contact us if you have questions about plastics shredders and to learn about our current inventory. Give Arlington Machinery a call, or fill out our online quote form to get started.